There is a saying “behind every good man is a good woman”, true, but I would also like to propose the opposite. Behind Nici Cumpston, and many other successful Adelaide people including myself, is Andrew Dunbar, a man who gave so much to so many. Andrew was a technically brilliant photographer and naturally talented photographic artist who recently lost his battle with cancer. Nici fortuitously stumbled into working intensely with Andrew on an exhibition called ‘Nakkondi/Look’ for the 2000 Adelaide Festival of Arts. One of Nici’s students was meant to collaborate with Andrew but pulled out with 6 weeks to go asking Nici to step in. During this time Andrew’s inspiration changed Nici’s ideas of being an artist and a professional person forever. She describes herself as “faffing about” before she met Andrew. I personally wouldn’t have thought she was faffing about given that she had completed an Advanced Diploma at North Adelaide School of Art, worked for 6 years at SA Police as a darkroom technician (eye opening work!) and inspired fellow Aboriginal students at Tauondi Aboriginal Community College as a photographic teacher before she had even met Andrew! 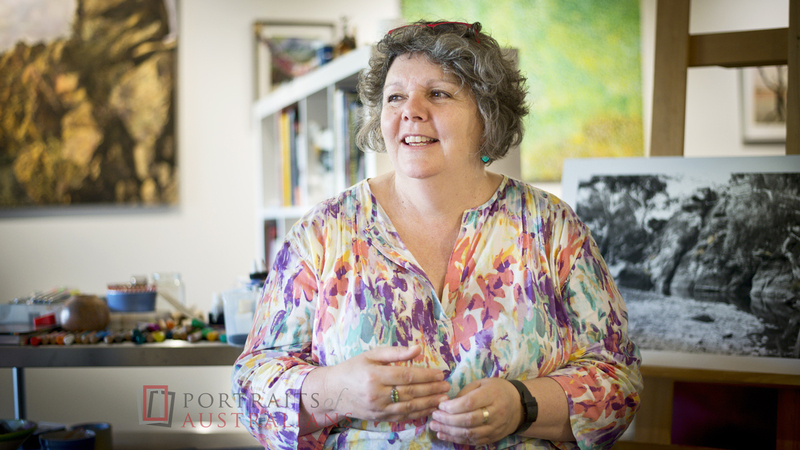 Now, Nici is an achieving artist, known for hand colouring black and white photographs of Riverland landscapes but this is not all, Nici is the Artistic Director of the Art Gallery of South Australia’s ‘Tarnanthi’ a festival of contemporary Aboriginal and Torres Strait Islander art. She has worked hard since joining the Art Gallery as a trainee curator in 2008 to achieve her current position ironically in the same team as Andrew Dunbar’s sister, Tracey! Her list of achievements is amazing, a very impressive Biography http://nicicumpston.com/p/cv.